These mobile devices are giving PCs a run for their money in terms of the increase in their use. The latest tablet commerce projections have just been released by Gartner, which have revealed that the smaller handheld devices are exploding in popularity and that they may overtake laptops and desktops. The trend has indicated that the current growth in sales is not showing any indication of slowing for several years. At the same time, while tablet commerce is expected to grow very rapidly and continue to do so for at least several years, it is unlikely that they will become the device of choice for taking on tasks requiring greater productivity. This would require them to be equipped with peripherals and monitors, to the point that they would more closely resemble desktops and laptops than their actual tablet form. 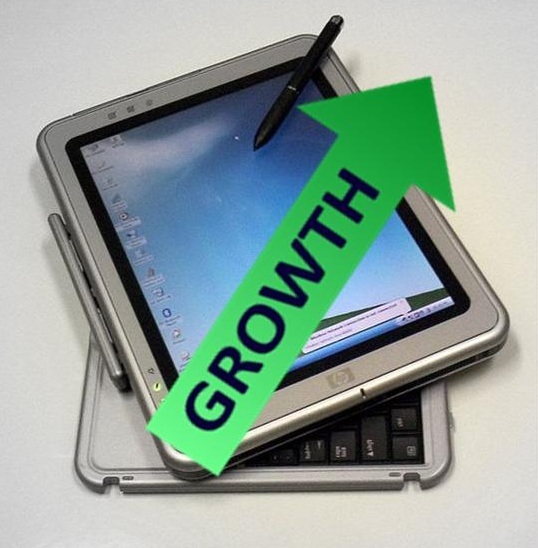 The Gartner report is crediting the lower priced devices with the rapid growth of tablet commerce. With the falling prices and the fact that they are relatively new to the market, they are expected to overtake PCs – which are already well established and are typically being replaced as opposed to being purchased for the first time – within the next five years. Experts in the industry are cautioning people not to misinterpret these predictions. While it does look as though tablets and smartphones could start shipping at a rate of 2.4 billion units worldwide this year – an increase of 9 percent over last year – it doesn’t mean that the laptop has seen its day. These devices are all being used for their own unique purposes, and their affordability means that the increasingly tech savvy consumer is purchasing multiple devices as opposed to selecting one over all of the others. This does, however, represent a meaningful shift in the way that people can shop. It means that they will have a multitude of different devices available to them when they decide to research or even purchase a product or service. For this reason, the rapid growth of tablet commerce will likely becoming increasingly important to retailers and other merchants who wish to maintain their competitive edge by providing consumers the experience that they are seeking and expecting.